Tuesday means Ladies Night in Dubai: do you know what is the meaning? A ladies’ night is a promotional event, often at a bar or nightclub, where female patrons pay less than male patrons for the cover charge or drinks. 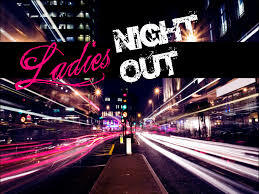 So Ladies enjoy your night out and……of course men you are more than welcome in those place!!! Every Tuesday, ladies are invited to bring their girlfriends to the city’s most mystical and charming evening with music courtesy the resident DJ Michael Dunne. At the Greenhouse, dress to impress, and spread that ‘EnVii’ from 8:00pm to 11:00pm, while sipping on 3 complimentary drinks and enjoy 30% discount on food! There’s a new ladies night in town, and it has a fabulous view! #NautiqueButNice is bringing a new nautical vibe, new DJ and new drinks packages to Tuesday nights. Set sail for Aquara and enjoy a premium selection of food and beverages, served with naughtily nautical twists. You and your friends might even wrap up your evening with complimentary bubbly on a private yacht! 60 Shades of rose ladies night is on the way! Well deserved night of fun for all ladies in Dubai! Coolest bar, restaurant, music and view at Cove Beach Dubai. Rose wines and Cocktails Selection for 100 AED from 8.00pm – 11.00pm every Tuesday. This and every Wednesday, Off beat presents live music at Indie DIFC.This week, Boogie Breeze and The Vibe will perform live from 10pm. The magicallevantnight continues at its lovely NEW Home MUZE with Beirut’s Cyril Nehme once again at the helme providing a mix of 80s/Latin/Arabicfusion/hiphop/rock & LIVE exotic Latin&Middle Eastern performances by Graciela Pischner & Martina Cancio. MUZE, a live music bar & lounge, located in Souk al Bahar, Downtown – the center of everything new and happening in the city of Dubai Muze’s design is like its sounds, eclectic and heartwarming. Reminiscent of the golden era of crooners, guests can choose from intimate lounge seating to high tables, for those who want to take in the music from a bar side perch.